Effective provision for waste and recycling is important in providing a clean working environment. To assist with reducing the carbon footprint of businesses and other organisations, Supertuff Europe provide a range of strongly made waste disposal units. Whether it is a small office recycling bin or a large outdoor unit, we are confident that we can supply you with a container that meets your requirements. For outdoor storage, our wheelie bins offer the perfect solution. Thickened plastic walls and large rubber wheels ensure that users can manoeuvre full bins to their collection points without difficulty. 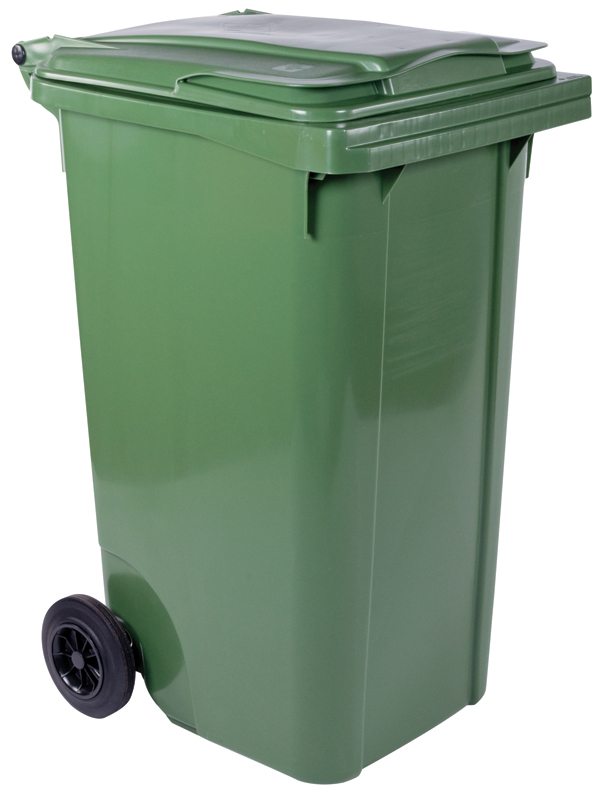 Wheelie bins can be found in any residential area and are designed to be used heavily over many years without failing. The larger wheelie bins take this further and offer huge capacities for shops and businesses. 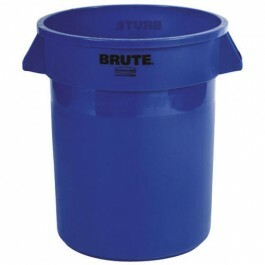 Don't miss our range of moulded plastic bins. These containers are manufactured in our UK factory and are intended as a heavy duty solution that is ideally suited for waste handling facilities. The rotational moulding process used to create these bins make them seamless, completely watertight and capable of withstanding demanding conditions. 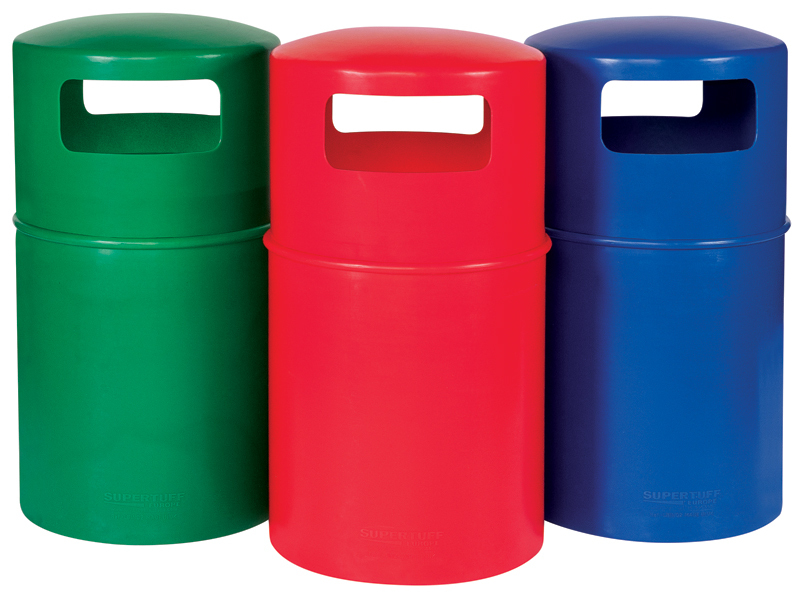 Because of their all plastic body and tapered lid, the bins can be stacked together and stored in outdoor areas. For more secure contents storage, a plastic drop-on lid can also be provided. During the winter months, it is essential that roads and car parks are kept clear of snow and ice to minimise traffic disruption. Supertuff grit bins can be secured using only a padlock and do not feature any metal parts, ideal for leaving outside all year round. The lid secures grit and salt inside from the rain and ensures it can be used effectively when needed.